Make sure to check your email as well, we will be sending you weekly updates about best practices and advice on ColdFusion maintenance! We want you to feel even safer than now! 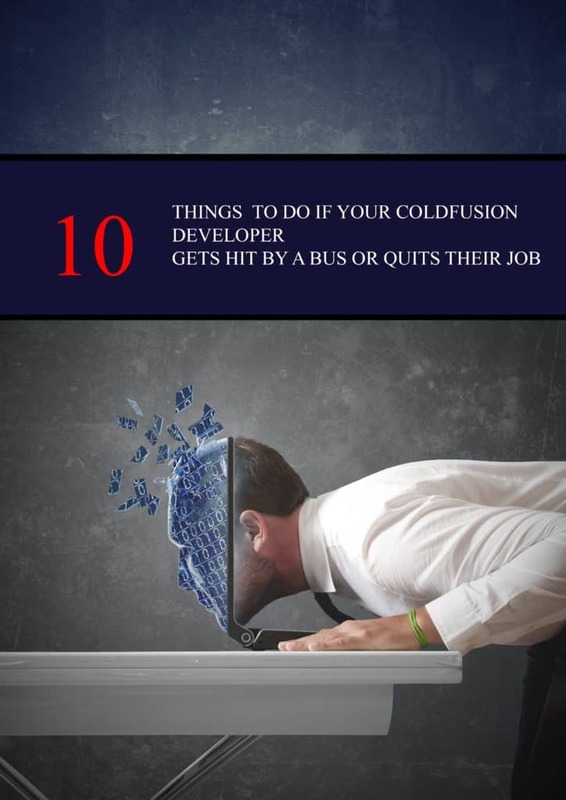 Hopefully, some of these blog posts about the very things that are important for your ColdFusion improvement and security will be of help! Does your ColdFusion code Smell Bad? What was the CF problem they were facing? They tried to do a project internally and “bit off more than they could chew.” Their internal IT department could not solve the problem, and we presented demos early on that showed our approach to the project working. They had an external deadline for their application going live that could not be moved. Their internal ColdFusion developers could not get it done by the hard deadline. We provided a bid and we were able to meet the very quick turnaround time.